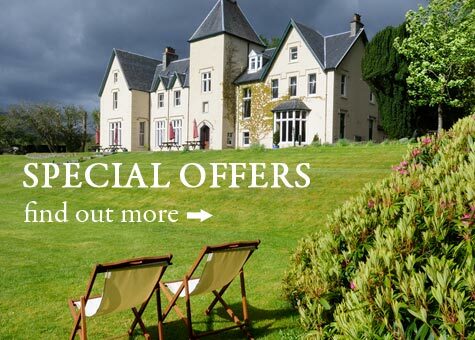 All prices are per room per night including Bed & full Scottish Breakfast. There is a surcharge of £15 per night for children aged 13-17 and £20 per night for extra adults in family rooms, family suites or the four poster suite. Smoking is prohibited in the hotel. Meals are available from 12 noon-9pm in our bar and 6pm-8.30pm in the ’45 Room’. Dogs are welcome if well-behaved and house-trained at a charge of £10 per night.